When I first heard about the Sanctum Praeputium I actually thought it was a joke thought up by some medievalist. Apparently some medieval people thought so too! Relics played an important role in medieval Christianity. The physical remains of saints and holy figures were considered an essential part of the faith, offering a powerful connection with Heaven. As one twelfth-century monk wrote, “the divine power works through things that have been consecrated by use and contact with the hands,” of the saints. They were often used to perform miraculous healing, and could be brought out during peace talks between rivals. The relics could be man-made objects, such as cloaks or shoes, or they could be the body parts of the saints themselves – a tooth, hand, or even a head – the head of John the Baptist was particularly popular. There was intense demand by churches to have as many as relics as they could, the more prominent the better, as they drew in eager worshippers like tourists today. Some churches and monasteries would list hundreds of relics in their collection. The trade in these holy goods would lead to many frauds, thefts and plundering – the conquest of Constantinople in the Fourth Crusade saw much of the city’s relics being taken away to western Europe. The most important relics were those associated with Jesus Christ – such as the True Cross where he died upon, or the mother’s milk of Mary. However, since Jesus was said to ascend to Heaven with his body, there could not be any of his own bodily remains left – except, perhaps, those that he left behind before he was killed, such as his blood or his finger nails. All this brings us to the story of Jesus’ circumcision, which the Roman Catholic Church celebrated eight days after his birth on January 1st. Following the Jewish rite, Jesus was circumcised, which leaves the question of what became of his foreskin. Very few articles have been written on the topic of the Holy Foreskin, partly because in the year 1900 the Roman Catholic Church threatened to excommunicate anyone who did so. 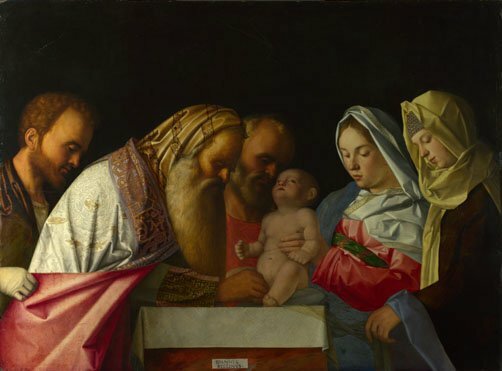 However, Robert Palazzo bravely did his research and his article “The Veneration of the Sacred Foreskin(s) of Baby Jesus: A Documentary Analysis,” offers some interesting details about this relic. He notes that apocryphal gospels, such as the The First Gospel of Baby Jesus, which was written sometime before the 6th century, described how the foreskin was kept and passed down from generation to generation. By the eleventh century, several churches in Europe explained they had the Holy Foreskin – the story often went something like this – Jesus’ mother Mary kept the foreskin, along with the umbilical cord, and later gave it to Mary Magdalene. We then jump forward several centuries to the time of Charlemagne, when an angel gave the relic to the Emperor. From there it went to this place or that place, including to Rome. In 1421, it was even sent to Cathernine of Valois in England, so that it would bring good fortune (and a pregnancy) to her marriage with Henry V.
Palazzo has been able to find at least 31 churches in Europe that claimed to have the Holy Foreskin sometime during the Middle Ages, including ones in Paris, Antwerp, Bologna, Compostela and Toulouse. We can be sure that he, having voluntarily submitted himself to the act of circumcision, will have kept his foreskin, so that it could be restored to his body following his resurrection, thus allowing him to ascend to his heavenly father with a perfect body, entire and intact. She began to think about the foreskin of Christ, where it may be located…And behold, soon she felt with the greatest sweetness on her tongue a little piece of skin like the skin of an egg, which she swallowed. After she had swallowed it, she again felt the little skin on her tongue with sweetness as before, and again she swallowed it. And this happened about a hundred times. The whole matter was even brought before Pope Innocent III, who was asked to decide whether or not the foreskin and umbilical cord was a true relic. The Pope replied, “Rather than attempt rash answers to such questions, it is better that they be left entirely to God.” This seems to be the line that the Papacy has taken since, although as the idea became criticized and mocked by Protestants, the Holy Foreskin has been gradually hidden away and not talked about by the church. The last place known to have publicly shown the Holy Foreskin was the Italian village of Calcata, which lies 30 miles north of Rome. The locals claimed that the relic had been there since 1527 and every year on January 1st, it would be taken out of the local church and paraded around. Then in 1983, it mysteriously disappeared, taken from a shoebox underneath the priest’s bed. Many locals believe that it was the Vatican that was responsible for taking away their precious relic. It has, however, brought an end to one of the strangest stories of medieval Christianity.